Believe it or not but Back To School Season is already here! 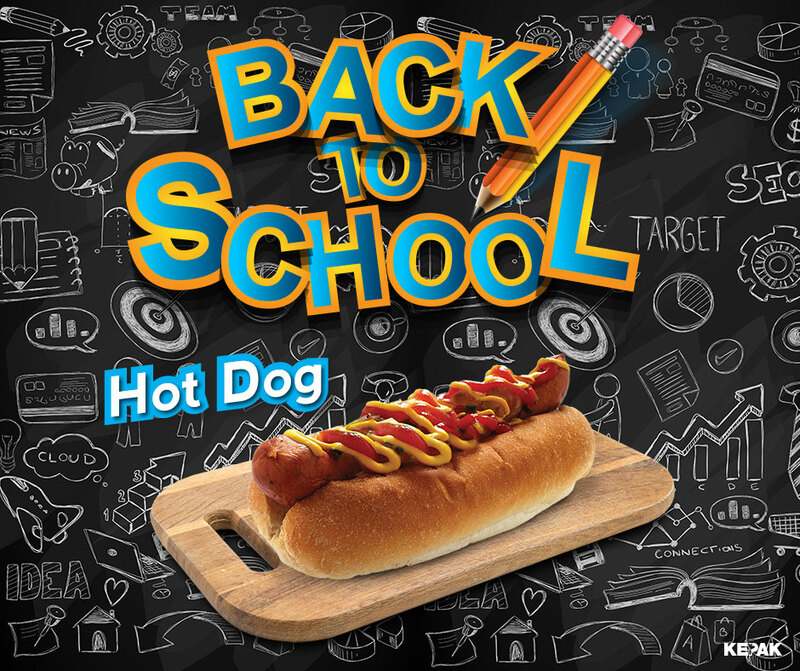 This presents a great opportunity for increased footfall and sales as the schoolkids return to their favourite foodservice outlets. To make sure you are ready we have a selection of fun, eye-catching digital social media assets which will make sure you are top of the class this school year! Helping you increase customer engagement by speaking directly to them online. Why not download our social media assets prepared for use as both homepage Facebook page cover and for use as individual posts. 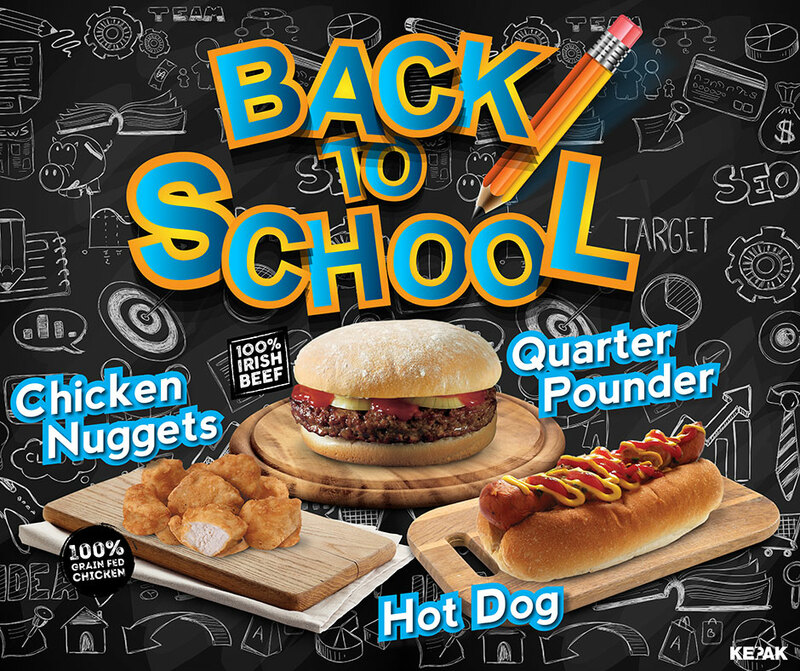 These are available in lunch time favourites – hot dog, quarter pounder and chicken nuggets. Get posting and sharing to make the most of this busy time ahead. 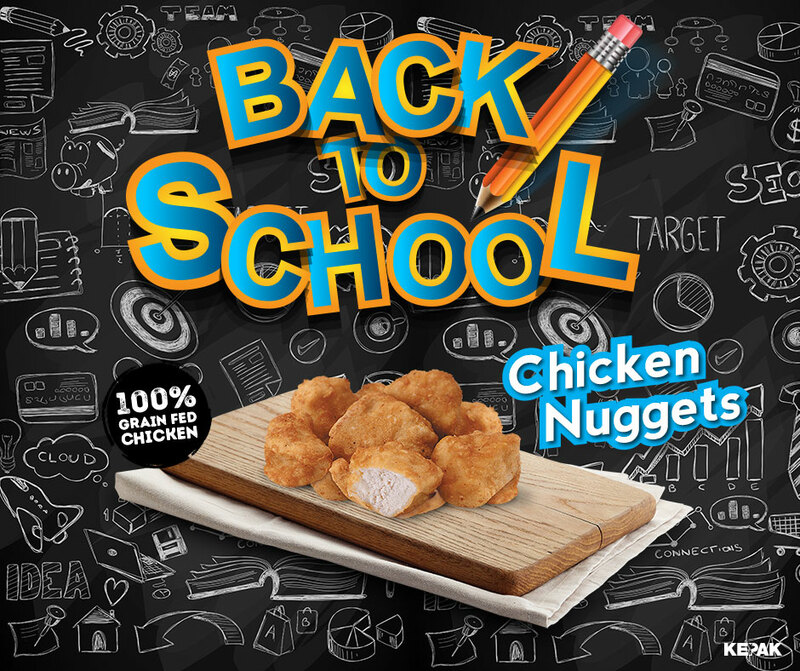 Guaranteed to be a hit with after school treats this back to school time! Enjoy a delicious hot dog snack perfect fuel to get you recharged! Why not dig into these chicken nuggets one of the many bites on our tasty menu! 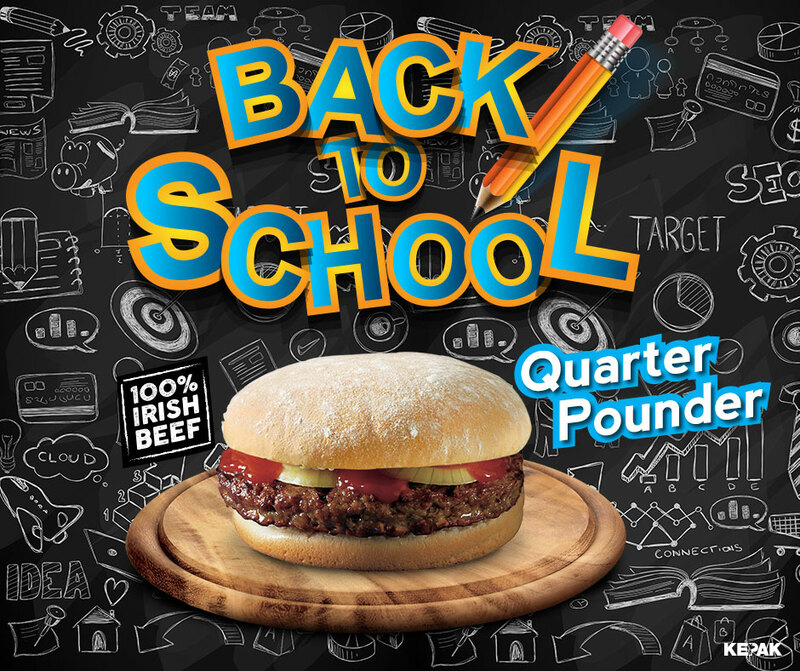 Get rid of those back to school blues with this juicy quarter pounder! Perfect to get you off on the right track this term time!